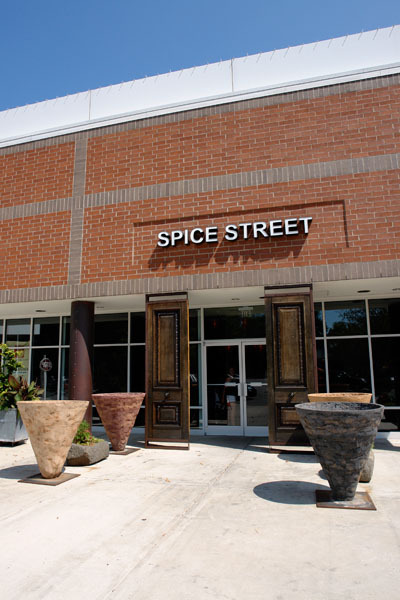 Spice Street is located in the University Mall, in the center of Chapel Hill. While inside the restaurant is pretty large, the Mediterranean themed decor doesn’t make it fell like it. 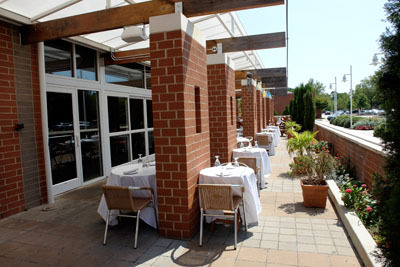 Additionally, they have a beautiful terrace. The service was good. Our waiter made genuine efforts to please us and the maÃ®tre d’hÃ´tel payed constant attention to every customer. The only problem was with the busboy which obviously was bored to death by her occupation. 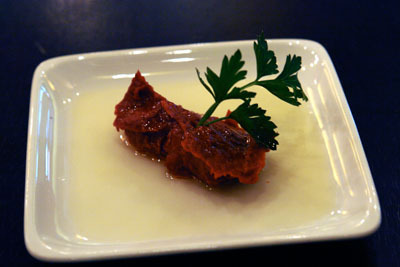 As we waited, we were served some flatbread with a very nice tomato and harisa dip. As main course I had a spinach, broccoli, tomato, pepper and potatoes frittata. The frittata was served with a small mixed green, cucumber, tomato and radish salad. It was very good, cooked but still moist with tasty vegetables. 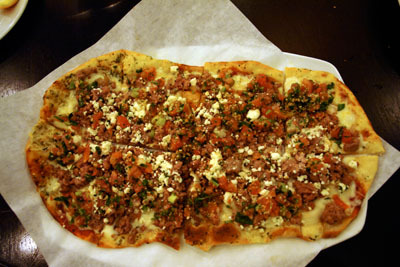 I had the opportunity to taste the lamb flatbread. It look a bit like a pizza but is actually minced lamb meat, crumbled feta cheese, tabbouleh and tzatziki sauce on a flat bread. The combination sounds pretty strange, it is truly excellent. For desert, I had a green tea crÃ¨me brÃ»lÃ©e. While the taste was good, the texture could have been better. It was bit watery. Around $30, including drinks (orange juice and espresso) and tip. Spice Street offers excellent value for money. I will definitly come back.